African Prisons Project (APP) is a charity founded to improve the welfare, health and education of detainees in Africa. It works to restore dignity and hope to prisoners in Uganda and Kenya and in prisons across Africa to change the way that criminal justice issues are addressed and to empower prisoners to drive positive change. Jeffrey Wotherspoon and Emma Callow training Governors from African prisons in coaching skills. In general, the conditions in African prisons are painfully poor. Many are severely overcrowded, lack sanitation and are unable to provide adequate nutrition. Access to books and education is limited or non-existent and medical facilities wholly inadequate. In Africa physical punishment and the death penalty are still widespread and for many people a prison sentence means hard labour. Police forces and prisons services are often underfunded and undertrained, and people might be imprisoned for being vagrants, debtors or criminal lunatics. The death penalty is given for witchcraft, mutiny, treason and cowardice and, in some countries, more than two thirds of prisoners have not been convicted of an offence. In 2004 Alexander McLean, an 18 year old UK citizen volunteering in a hospital in Kampala, helped a group of prisoners in Uganda. Alexander returned to the UK and founded the African Prisons Project to provide models for human rights, rehabilitative approach to imprisonment which can be replicated by financially limited prisons services. Alexander has received many awards including Ashoka Fellow, TIME Magazine 30 Prestigious People Under 30, TED Senior Fellow, V Inspired Legend Award, Beacon Prize for Young Philanthropy and Overall Winner, Real World Graduate of the Year and Charity Volunteer of the Year. 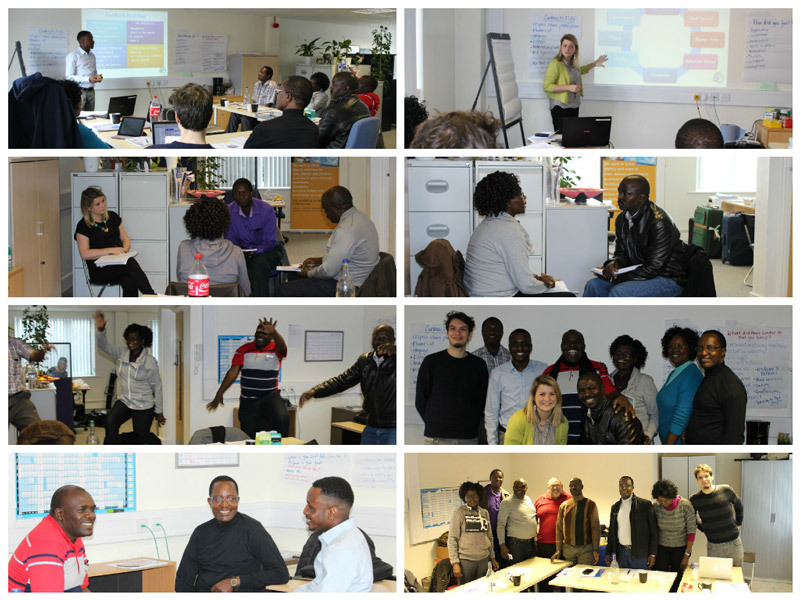 We provided a 3 day coaching course for the 2014 group of secondees, covering foundation coaching skills, plus a series of practical assignments to embed the learning. After a response that the 2014 secondees considered the coach training to be the most valuable part of their learning, the 2015 secondees completed 3 days of skills plus 3 days of trainer training to enable them to teach the skills back in their prisons in Africa. We are looking forward to providing similar programmes every year. The trainers we supply to deliver courses for the APP have graduated as coach trainers on our Trainers Pathway, through the free courses we deliver for the MOE Foundation These trainers receive a small payment from the APP for delivering the courses but apart from this, we do not charge APP for our services. African Prisons Project works to bring dignity and hope to men, women and children in prison in Africa through healthcare, education, access to justice and community reintegration.